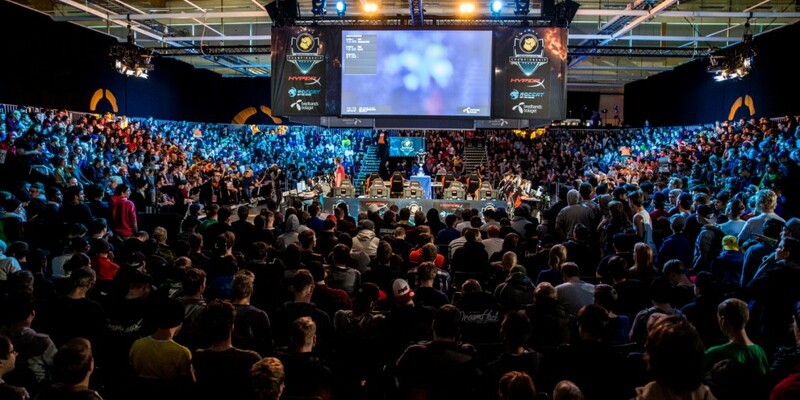 Police were called to Dreamhack Winter this weekend over an altercation between CS:GO panel host Richard Lewis and Jonathan ‘Loda’ Berg, the captain of Dota 2 team Alliance. In a tweet, Berg claimed to have been strangled by Lewis. In response, Lewis said that he had been provoked when the pro player “pushed his forehead into his face”. I spoke to a spokesperson for the Jönköping police department this morning. They were not able to confirm the official details of the incident at this early stage but did recall an assault being reported on Saturday. Lewis claims to have found the sign discarded the night before and tweeted the photo as a joke at the expense of Team Liquid CS:GO player Hiko. The sign had, however, been made by Kelly Ong Xiao Wei, the manager (and self-described ‘mom’) of Alliance. “I was having a bit of fun between myself and Hiko and had no idea who created the sign” Lewis later told me via e-mail. She challenged Lewis about the joke on Twitter, as did her partner, Berg. Berg then asked Lewis if they could meet up to talk about it. It was while meeting backstage at the event that the alleged assault took place and the police were called. This incident has resulted in fallout on Twitter and in the CS:GO and Dota 2 communities, as might be expected. Berg has been quiet about the issue since Saturday, but Lewis has been more vocal, contending with those who have criticised him and stating yesterday that “the way dreamhack handled things and what they asked of me makes it difficult to want to do an event for them again moving forward”. I’ve reached out to all three parties involved, but at present only Lewis has responded to my request for comment. His account of the incident is quoted below. He is referring to two tweets by Loda. The assertion that these were veiled threats are Lewis’ and hard to verify, given the nature of social media. With this in mind—and lacking comment from Loda, whose account of the event could easily be different—I asked Lewis if he regretted that initial Twitter post. After all, calling somebody a ‘groupie’ that he’d ‘kicked out of bed’ was always going to hurt somebody, even if it didn’t hurt a public figure in the Dota community. At present, no official action has been taken either by DreamHack or by the Swedish authorities. Previous articleThe beautiful & elegant Antec Signature Series Brought to you by Abacus Peripherals Pvt Ltd.